If you know anything about cats, you know they are easily stressed. In fact, just a slight variation in kitty’s daily routine can make her jittery. Major changes, for example, a move to a new home or the arrival of a new pet in the household, can quickly send even a cool cat over the edge. The reason for this may be because felines equate “unauthorized” changes in their environment to a loss of control. Cats very much like to feel in control of their environment and when they don’t, they get anxious. But what many people don’t realize is the extent to which we, as pet guardians, can create stress in our cat. 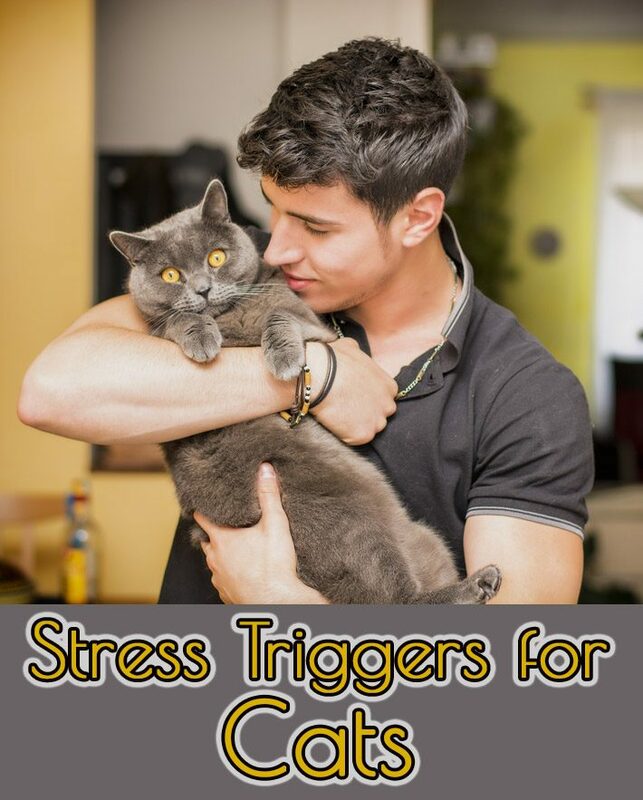 The veterinary publication dvm360 has compiled a list of stress triggers for cats … and I think some of them may surprise you. 1. Punish him for behaving like a cat. When your kitty is doing something you don’t want him to, getting physical with him will do only one thing: teach him to fear you. Yelling “no” will scare him off, but probably only momentarily. 2. Assume she understands what you’re saying. 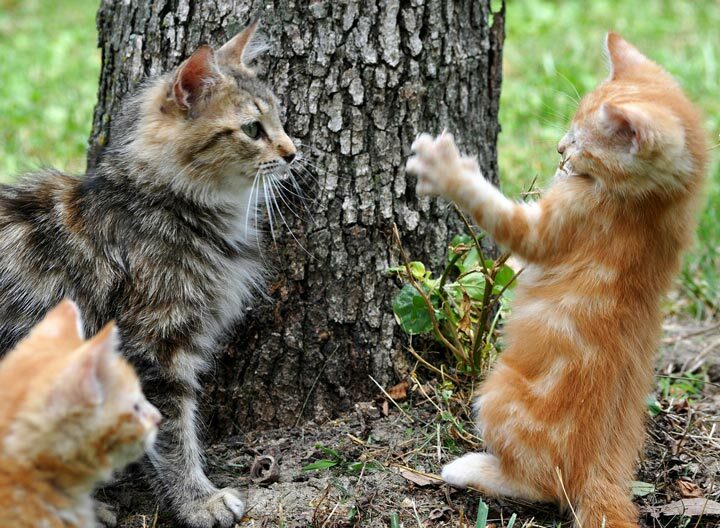 Cats and other animals use body language to communicate. That’s why talking to them is usually unproductive. 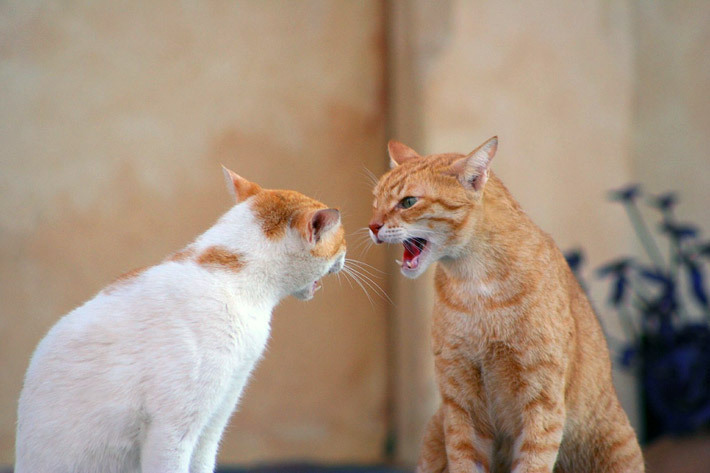 “Cat clicker training is an easy and fun way to help shape your cat’s behavior. The scientific term for the method is operant conditioning – simply put, it means you can take advantage of your cat’s natural tendency to repeat an action that has a positive consequence. It’s natural for humans to approach cats head on, however, it’s anything but natural for the cat. If you’ve noticed, the response of most cats is to recoil from a direct grab. Unfortunately, as soon as the cat throws it in reverse, many people are so committed to the exchange they grab kitty’s head and proceed to ruffle his fur. Now, imagine how you’d like it if someone did that to you! Cats don’t appreciate a head-on approach or head grabs. They are much more comfortable with long, gentle strokes from the head or neck area to the tail, or a bit of scratching around the ears or chin. 4. Hold her to kiss or hug her. Cats are natural predators, but they’re also prey. 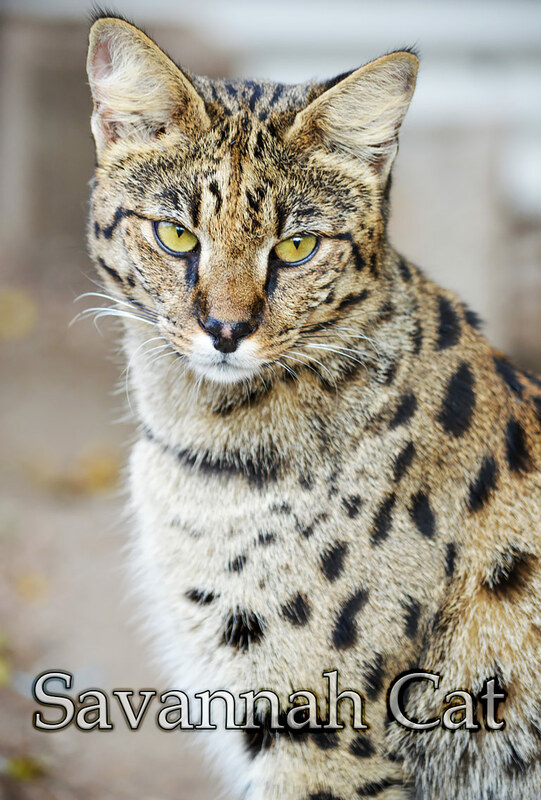 The first thing a predator does upon catching a prey animal is restrain it, which is why your kitty needs to maintain her ability to move freely and escape. It’s also why your kitty probably gets stressed when you hold her, even though you’re being affectionate. Cats like to have all interactions on their own terms (it’s part of their need to control their environment), so it’s always best to let kitty come to you. Cats are very clean creatures, so it goes without saying they detest a dirty bathroom. 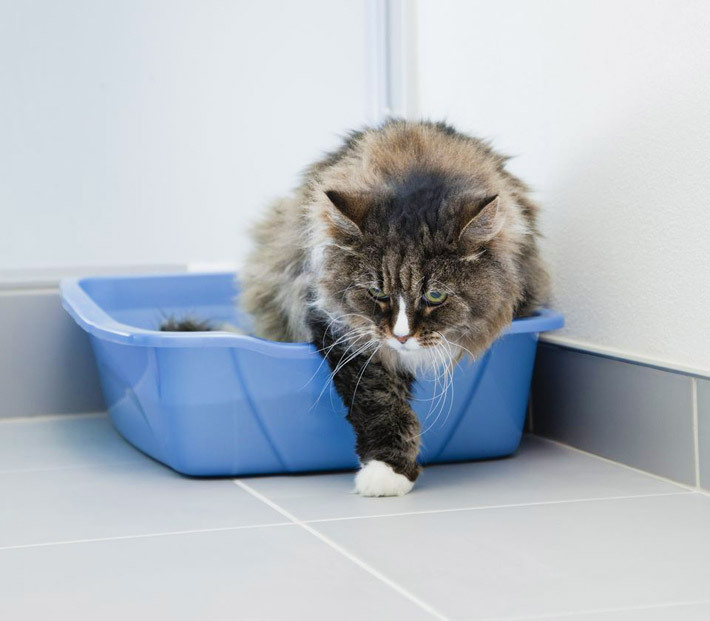 Most kitties held captive in homes will happily use the litterbox and not the floor or some other off-limits location as long as their human keeps their bathroom clean. 6. Pick a bad spot for her litterbox. Just as human toilets aren’t located in the middle of the living room, neither should kitty’s litterbox be in an open, noisy, and high-traffic area of your home. Just like us, cats need a private, safe spot in which to do their business. Situate the litterbox in a quiet area of your home in which kitty isn’t apt to encounter people, other pets, or loud appliances. If your cat is older, be sure the location and the litterbox itself are easily accessible to her. 7. Use your fingers and toes as toys. It’s enormously tempting to wiggle the old tootsies or fingers under the covers to watch your cat’s reaction. It’s also normal to be painfully surprised to learn just how quickly he can move, and how sharp those little teeth and claws are! 8. Leave her alone for days. 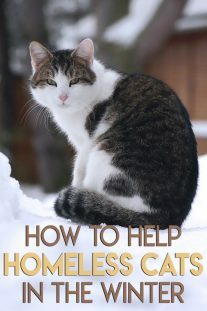 Many people believe one of the advantages of having a cat is that their independent nature allows them to be left on their own for long periods. While it’s true that cats don’t require as much hands-on attention as dogs do, it’s really not a good idea to leave your cat alone when you travel. Number one, kibble, which is the only food that won’t spoil sitting out in the open for days, isn’t a species-appropriate diet for cats. I never recommend dry pet food, especially for kitties. I recommend asking a friend, relative, neighbor or professional pet sitter to stop by each day during your absence to feed and water kitty, scoop the litterbox, and spend a few minutes with her to insure she’s content and healthy. 9. Use scented candles, plug-ins, cologne, or other strong-smelling chemicals. Cats are very sensitive to odors (it’s one of the reasons they are so stressed during veterinary visits – all those smells!) and are often bothered by strong scents in the air, on clothing or bedding, and even on their humans. 10. Bring home strange cats. Any new member of the household, two-legged or four, will cause temporary stress for your cat. This goes double for a new feline addition to the family, especially when the stranger isn’t properly introduced. The introduction of a new cat to the family should be well controlled. This means setting him up in a separate area initially, and letting the cats get accustomed to each other gradually, at their own pace. This approach will help reduce the risk of inter-cat aggression and keep everyone’s stress level down.